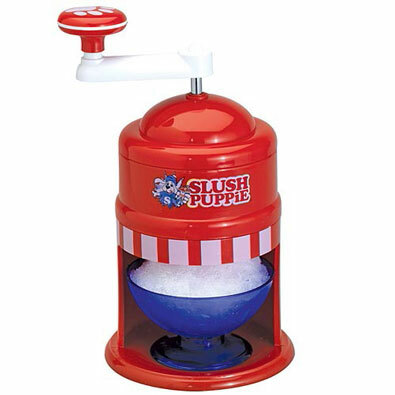 A cool, frozen favorite since the 1970s, the original Slush Puppie® can now be made in your kitchen or backyard, thanks to this easy-to-use slushie maker! Simply add ice cubes and turn the long handle of the slushy machine-cranking out light, fluffy shaved ice, then add flavored syrup (not included) for cool, delicious, affordable refreshment! Includes blue plastic bowl. Hand wash. 6" long x 6" wide x 11" high.